Editor's Note: Adjuvant are needed to manage inherent physical active ingredient properties and associated aspects and play an important role in designing and tuning of product properties, for example, retention, spreading and uptake. Adjuvant technology can enhance the effectiveness of agrochemical formulations by improving their biological efficacy. 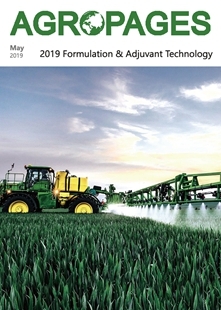 In brief, adjuvants are a key component in formulation technology innovation. 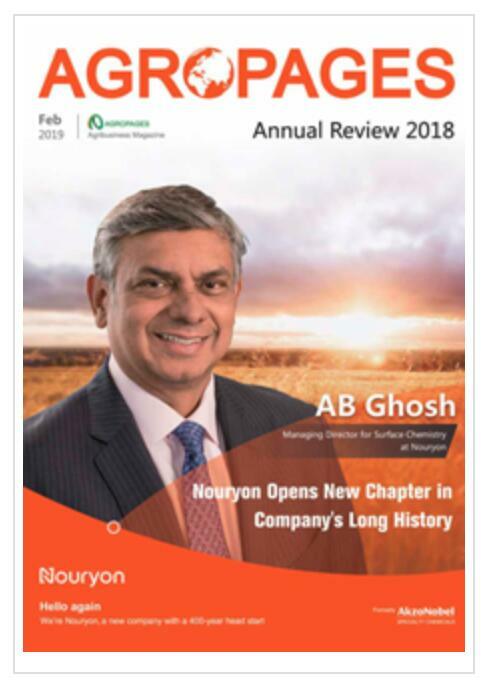 Accordingly, AgroPages recently invited three key players in this field: Evonik, Croda and AXEB to share their insights on the new adjuvant technologies, key influencing factors and potential solutions of the adjuvant technology development, as well as future development plan etc. Q1. Could you introduce the key adjuvant products/technologies of your company, and their application, promotion and the global layout situation? Evonik: Evonik is a world leader in specialty chemicals. Under the BREAK-THRU® brand, we market specialty additives for the crop protection industry, for tank mix adjuvants and in-can additives for pesticide formulations. We offer agricultural chemicals based on organomodified siloxanes and organic surfactants, such as spreaders, penetrants, antifoams, dispersants and emulsifiers. 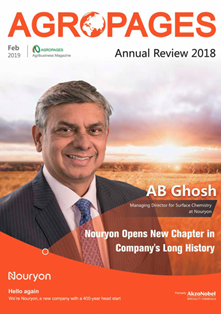 The acquisition of the Air Products’ Performance Materials Division enabled us to broaden our technology and product platform by integrating the SURFYNOL® and TOMADOL® as highly dynamic surface agents, mainly for InCan use. Water and nutritients are essential for plant growth. Drought stress is one of the major limiting factors that effects crop and fruit growth and productivity. Evonik addresses this challenge: BREAK-GARD® is an innovative soil adjuvant for irrigation and fertigation; STOCKOSORB® is our brand for high performing soil conditioners of water absorbent polymers. Both product groups are used to increase and stabilize crop yield, especially under abiotic stress conditions like drought, salinity and/or flooding. Croda: Croda offers an extensive range of additives and adjuvant technologies, working with formulators to help them get the best performance from their products. From spray formation and retention aids to enhanced wetting agents and penetration enhancers, these provide a comprehensive toolkit for advanced formulation development. New innovative products include our range of Tween™ 20 variant surfactants, delivering improved surface activity and superior wetting performance for a wide range of hydrophobic herbicides whilst providing environmental and toxicological benefits over alternative materials. 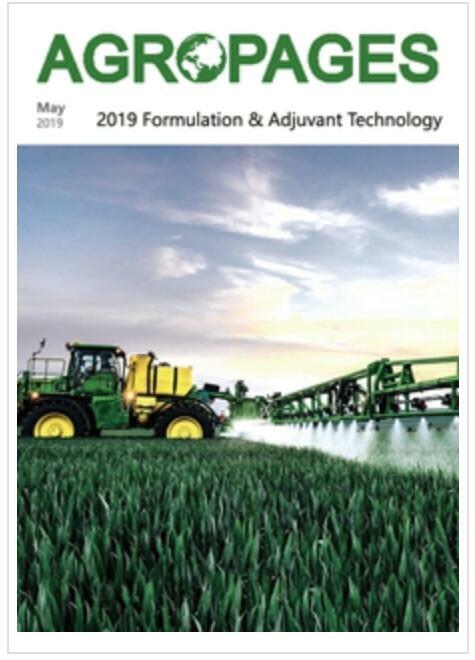 Other recent developments include advances in our market leading Atplus™ DRT technology platform for advanced spray quality / drift control and an electrolyte-tolerant dispersant for use in combination with concentrated fertilizer formulations and other highly electrolytic systems. 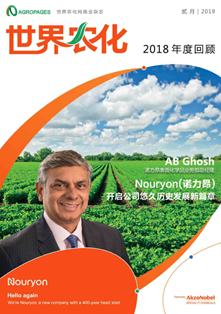 AXEB: AXEB adjuvants are used in a great variety of foliar mixtures and aerial applications in many crops in more than 10 countries worldwide — Latin America, Middle East, Asia, North Africa and Europe — through our official distributors in these countries, where dedicated promotion has shown to be highly effective. We would like to highlight that AXEB adjuvant is very popular in China. In China, our adjuvant series products are exclusively sold by Shanghai Zhongrui Chemical Co., Ltd. 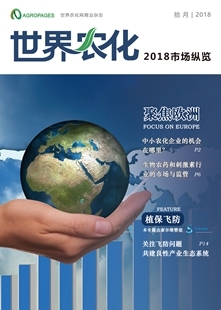 In China, we and Zhongrui have made innovative functional positioning for our adjuvant products - "Pesticide Navigation", which is in line with our product characteristics, very vividly describes the functions of the core components of our products, and this function positioning has been recognized by the Chinese authoritative scientific research institutions. We and Zhongrui Chemical also jointly commissioned the Chinese Academy of Agricultural Sciences、China Agricultural Technology Promotion Center and other authoritative organizations to conduct a mechanism test research and application promotion research on the series of products of "Pesticide Navigation". In 2018, under the full promotion of Zhongrui Chemical, the “Pesticide Navigation” series of products in China has reached an area of millions of hectares. We think this is far from enough to help more Chinese farmers realize the use of pesticides and fertilizers. With improved efficiency, we are currently working hard to make 50% of our adjuvant products available for use in the Chinese market. Q2. What challenges has your company encountered in the process of developing new products and extending new markets in this field, and what strategic initiatives have been taken to address these challenges? Evonik: We take care of what our customers expect from us. Our innovation strategy is driven by the market needs for sustainable agro solutions. In past years, our R&D pipeline has focussed on additive developments which help our customers to make their agrochemical formulations more environmentally friendly. These additives are biodegradable, are based on renewable resources and come with a benign labelling, ideally meeting all those criteria at the same time. BREAK-THRU® products are known to improve performance and efficiency for our customers´ products in agro applications. Before we bring a new product to the market, we run field trials in the different climate regions. In addition, we offer expert technical support for our customers and also provide guideline formulations. In recent years we noticed that hurdles for new product registrations have become more complex and demanding. Clearer guidelines from national authorities may speed up these processes. Croda: Farmers are under increasing pressure to increase food production with fewer resources, whilst maintaining longer term stewardship of the natural environment. 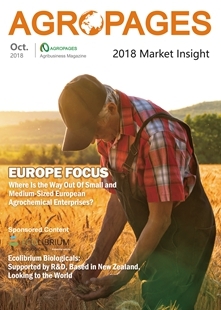 Given the growing challenges of pesticide resistance, environmental concerns and regulatory changes, society as a whole is looking to the crop protection industry to provide safe, sustainable solutions to these problems. Whilst Croda continues to develop its range of additives and adjuvants, working closely with customers to meet the most demanding formulation needs, we have also invested in new and complementary technologies which we believe will play an increasingly important role in the future of food production. Our Incotec Seed Enhancement business is a market-leading player in seed priming and coating, enabling delivery of nutrients and plant protection products directly onto seeds, providing a step-change in crop protection. In early 2018, Croda acquired Plant Impact, a biostimulant company with a range of technologies to boost plant growth and yield improvement. Together, this combination provides a strong platform for success for Croda and its customers in the agrochemical market. AXEB: As a company focused in biostimulants and plant nutrition products, we soon faced the challenge of developing new adjuvant formulations when our costumers asked us for products to improve the field application and the effect of our most high-valued biostimulants. Developing products to meet the needs of our customers is one of our strongest points. The process of developing AXEB’s adjuvants started by comprehensively studying the state-of-the art adjuvant technology. This allowed us to stablish the key raw materials to use for every adjuvant function (buffering, wetting, etc.). After that, we worked in our laboratory in order to develop a little family of adjuvants for our portfolio. Our expertise in new formulations development was very important to help us overcome the technical challenges. Q3. What do you think are the key factors driving formulation technology innovation? What initiatives did your company take to drive its innovation? What do you think of the important role of adjuvants for formulation technology ? Evonik: Market needs drive formulation technology innovations. Consumers demand food with no, or lower amounts, of residual chemicals. Growers need to prevent the development of resistance of pathogens and pests to active ingredients. Karl-Heinz Florenz, member of the European Parliament, recently spoke at the Evonik Plant Care Day and stressed the demand to decrease the agrochemical input within the European Union. This demand, and the regulatory phase out of many chemical pesticides globally, must be overcome by agrochemical manufacturers. Super-spreading organomodified trisiloxanes, like BREAK-THRU® S 240, enables the requested lower pesticide use rates. They improve the spray efficiency through better coverage, due to superior spreading and adhesion. Also, our other BREAK-THRU® spreaders and penetrants optimize the use rate of crop protection products, in terms of reduced wash off, leaching and drift control of spray solutions. New active ingredients are often more complex and need to be applied in combination with other actives to provide multiple modes of action. Our multifunctional additives enable compatibility of multiple active components in one formulation to offer a broad spectrum of pest control. Our surfactants also deliver robust performance, despite difficult conditions, such as rainfall, as these improve adhesion, retention and uptake, and provide higher efficiency, as penetration through leaf cuticles can be improved. The application of plant health products using unmanned aerial vehicles (UAV) require new, low water volume solutions. These innovative products need to address anti-evaporation and drift control issues for this application, so surfactants are key to ensuring compatibility and targeted delivery of the active ingredient to maximize efficacy in the fields. Croda: At Croda, we strive to improve our environmental, social and economic performance by innovating for a sustainable future. From naturally-derived formulation additives for improved stability to performance-enhancing adjuvants for optimum delivery, sustainability is at the heart of the Croda business. With industry leading technologies including 100% bio-based surfactants, wetting aids, penetration enhancers and drift reduction agents, this enables formulators and growers to take a more environmentally sensitive approach to getting the best yield for their crops. As an example of this commitment, Croda is dedicated to sustainable sourcing of raw materials used for surfactant manufacture, such as palm oil and palm kernel oil from Roundtable on Sustainable Palm Oil (RSPO) certified sources. 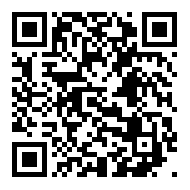 This contributes to reducing deforestation and its impact on climate change and biodiversity. More recently, Croda has completed construction of a bio-based ethylene oxide manufacturing plant, enabling production of our ECO range of 100% bio-based non-ionic surfactants. The plant uses corn-derived ethanol as a replacement for fossil fuel-derived feedstock, which along with the use of renewable energy leads to a substantial reduction in carbon footprint. Both of these innovations enable customers to benefit from a more sustainable approach whilst maintaining performance of the conventional alternatives. AXEB: A new original formulation should be addressed to solve a specific problem through new strategies. Our approach is based in first making a comprehensive revision of the root of the problem in order to set the strategy to follow. Knowledge and a good selection of raw materials, including environmental concerns in this selection, are perhaps the key factors driving formulation technology innovation. It can be difficult for final users to understand why they need to use two products instead of one. Why not include the ingredients of the adjuvant in the formulation itself? Formulators must face this question and address one-product solutions in cases where it is possible. Of course, this is not always possible due to technical constrains, and often, a specific adjuvant must be used along with some products in order to achieve a good efficiency of the application on the crop. Like communicating vessels, there should be constant feedback between the innovations in adjuvant formulation and general formulation technology. Simultaneously, we developed a specific three-product application plan for the Chinese market. This plan combines the action of three different product technologies that result in the best performance for the crop. Q4. What’s the future development planning of your company in the adjuvant field? Evonik: Our product launches in recent years reflect the targets of our innovation pipeline. BREAK-THRU® S 301 and BREAK-THRU® SD 260 are readily biodegradable super spreaders with a favorable toxicological profile based on patented technologies. They are not considered dangerous goods. With BREAK-THRU® SD 260 we launched the first solid water soluble trisiloxane in the market, suited for solid pesticide formulations. BREAK-THRU® SF 420 is a new 100% biobased and readily biodegradable adjuvant made by fermentation. At Evonik, we realize the growing interest, especially in biological control agents. 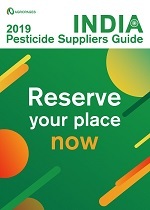 Biopesticides is a fast developing market segment. For these new class of actives, especially for microbial actives, biocompatible additives offer the potential to increase performance and, thus, even better acceptance in the market. Our product offerings help to increase the often limited shelf life, and optimize delivery and efficacy. Evonik has invested in recent years to build-up know-how and expertise to handle microbial actives in our agro formulation laboratory. 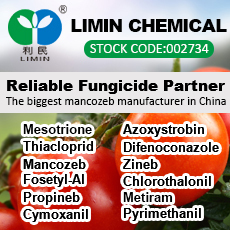 Many of our products are registered for organic farming (OMRI1) and we have received the first FiBL2) approval for our biobased foliar surfactant BREAK-THRU® SP 133 to be used for organic farming. Additionally, in 2018 Evonik opened a new laboratory in Brazil (São Paulo) to better support the local needs and demands of its agricultural customers in South America. Croda: Croda continues to develop its extensive range of adjuvant products, delivering sustainable, advanced formulation solutions without compromising on product performance. In the coming year, we are looking forward to launching the next generation of spray quality / drift reduction products and further advances in our wetting and dispersants portfolio. Building on its established reputation for quality and innovation, we are extending our series of training sessions, academies and workshops, sharing our expertise and working closely with customers to help them to get the best out of their formulations. AXEB: One area is to modify our biostimulants and other high-value products from our portfolio through the incorporation of an adjuvant formulation technology, with the aim of improving the effectiveness of our products’ applications. On the other hand, our customers are also a great driving force in the development of new products. Their feedback is essential to understand the needs of an increasingly technified agriculture, thanks to their permanent contact with the field. Moreover, a demand, or even a suggestion from one customer in a specific part of the world could be the initial spark to develop a product, which could also be a good solution for a similar problem in another country.